FOBA’s powerful ‘Y’-Series fiber laser markers are the industrial part marking solution. Used on almost all metal and plastics in virtually every processing industry, the range provides precise and efficient marking of parts and products. Bar codes, alphanumeric characters, logos and lettering can all be marked reliably and accurately. Integration is the key to the success of the ‘Y’-Series. A modular construction allows for a completely flexible application-specific configuration providing easy integration into production lines and stand-alone systems. From just one modular platform, integrators and their clients can choose from 9 different fiber laser sources with a comprehensive selection of power and pulse width combinations. The main fields of application for FOBA’s ‘Y’-Series fiber laser markers include the electronics, automotive, medical, security technology and machine tool manufacturing industries. All types of metal and plastics marking can be imprinted by the lasers, whether the part is stationary or in motion. 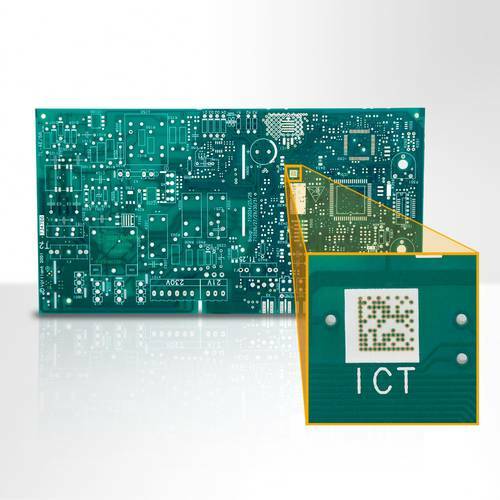 High precision is ensured through a vision system which offers marking in zero-defect quality and process reliability through automatic optical verification and validation. To meet the demands of any given production line, the Marking Field Calibration as well as parameter settings for optimising marking speed and quality allow easy adaption to the production process and required application. TLM Laser work closely with integrators to ensure the optimum laser system is installed within the client’s time constraints, throughput requirements and budget. With its wide range of variants, the FOBA ‘Y’-Series can be optimally adapted to fit into virtually any production line. As FOBA’s product partner, TLM can help integrators select the optimum system configuration in terms of laser marker and associated software. We can also provide an Integrator’s Guide and Toolkit, containing all the information needed – from CAD/CAM technical drawings to wiring diagrams, help tutorials to software interfaces. FOBA’s ‘Y’-Series fiber laser markers offer a high precision, cost-effective and flexible solution to laser marking. TLM Laser helps make their integration into clients’ production lines that much easier. For full details about FOBA ‘Y’-Series lasers and the TLM service to integrators, please contact sales@tlm-laser.com or download the datasheet.